Have fun coloring these original illustrations from artists in Austria, Peru, and New York City. Click on the picture to download a pdf for printing. 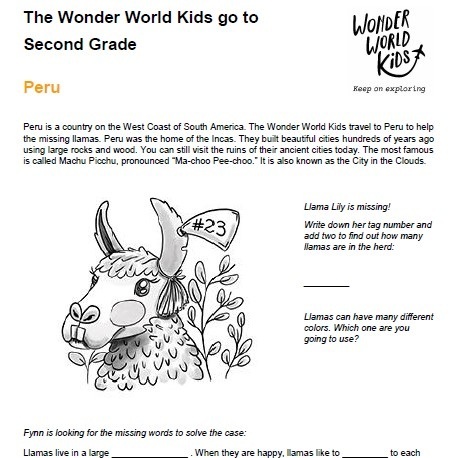 Use these grade level worksheets as preparation for an author visit, class read-aloud, or to learn more about a Wonder World Kids destination. Click on the picture to download the two-page pdf for printing. Photos and Content Courtesy of Noreaster Times LLC.